Every movie set in the jungle has its stories, but this one is going to give you the creeps. While showing footage of his upcoming movie “The Lost City of Z” at CinemaCon on Thursday, the film’s star Charlie Hunnam (best known from “Sons of Anarchy”) revealed to the audience some of the perils of making a movie that’s set in the Amazon, including insects crawling into your body and nearly getting struck by lightning. Hunnam went on to tell the audience that it was 3 a.m. when the beetle made its way into his ear. Not wanting to wake up anyone, he decided to “MacGyver this” and try to get it out himself by using a Neti Pot. But it didn’t work. So he went back to sleep. That’s right. Charlie Hunnam felt something crawling in his ear so he went back to sleep! He woke again after feeling the beetle move once more. This led him to finally contacting the producers of the movie who then got him to the hospital to get it out. Oh, Hunnam also said he almost got hit by lightning on the set, too. That near-death experience is still tame compared to what happened to the person he’s portraying in the movie. 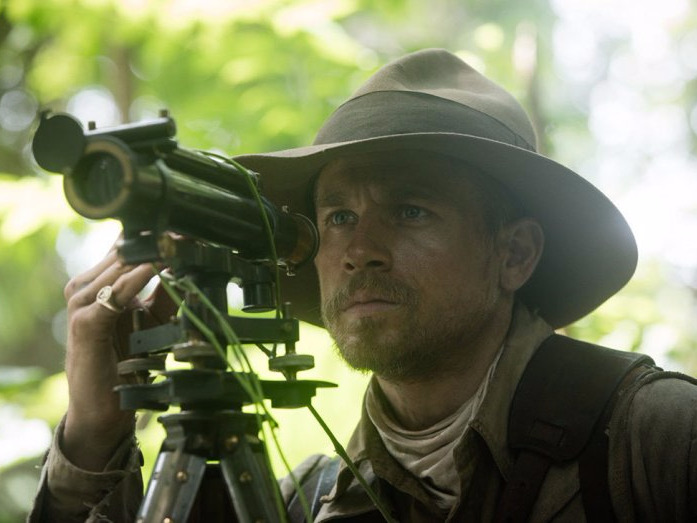 “The Lost City of Z,” based on the 2009 David Grann book of the same title, retraces the journeys of explorer Percy Fawcett to find the ancient lost city. In 1925, he disappeared with his son in the Amazon while looking for it. Made through Amazon Studios, the movie will be in theatres April 21 and then available for streaming on Amazon after its theatrical run.